Carbon dioxide (CO2) is emitted when fuels such as coal, oil and natural gas are used. Carbon capture and storage (CCS) is a process used to prevent these CO2 emissions from entering the atmosphere and contributing to climate change. CCS captures CO2 at a power station or industrial facility such as a steel, LNG or cement plant. The captured CO2 is then stored safely and permanently in deep underground geological structures, or by other physical, chemical or biological means. The three major methods of capturing CO2 produced through the burning of fossil fuels for electricity generation are post-combustion, oxyfuel combustion and pre-combustion. How does post-combustion capture work? Post-combustion capture separates CO2 from the gas stream produced after coal or other fossil fuels are used to generate electricity. It is currently the most advanced capture technology and can remove up to 90 per cent of emitted CO2. The most common process for post-combustion capture uses liquid chemicals called amines. A power plant’s flue gas (the mixture of gases produced by the burning of fuel or other materials) is bubbled through an amine solution. The CO2 binds to the amines as it passes through the solution, and the other gases pass through unimpeded. The CO2-saturated amine solution is then removed and heated to release the captured CO2, which is then ready for transport and carbon storage. The amines can be recycled and re-used. Post-combustion capture is technically advanced and being offered on commercial terms by a number of global companies. One of its advantages is that it is well suited to retrofitting to existing power plants and other industrial sources of CO2. It can also be implemented in stages, capturing a portion of the CO2 initially then progressively increasing to full capture. How does oxyfuel combustion work? With oxyfuel combustion, fossil fuels are burnt in pure oxygen and recycled flue gas instead of normal air. Almost all the gas that is emitted is composed of CO2 and water vapour. The water vapour is condensed out and the CO2 is then captured. Conventional boilers combust coal in air, which consists primarily of 78 per cent nitrogen and 21 per cent oxygen. The nitrogen plays no part in the combustion process aside from dilution, resulting in a flue gas stream that is dilute in CO2 (around 12 to 15 per cent) which can be successfully treated using post-combustion capture. By removing the nitrogen first, a lower volume of flue gas is produced with a much higher concentration of CO2 – allowing for much easier CO2 capture. 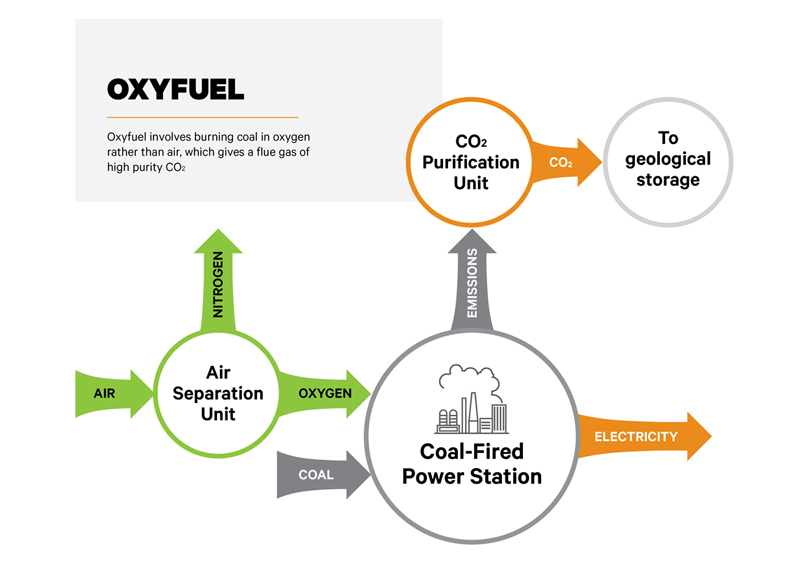 In 2015, the Callide Oxyfuel Project, at an operating power station in Queensland, and part-funded by Australia’s COAL21 industry fund, successfully completed the world’s first industrial-scale demonstration of oxyfuel combustion and carbon capture technology. The lessons from this project are now being shared and the oxyfuel technology is ready to be scaled up to semi- and fully-commercial projects. While oxyfuel combustion is not as technically advanced as post-combustion capture, it offers some advantages such as much lower water requirements which makes it well-suited to dry locations. How does pre-combustion capture work? In a conventional coal-fired power plant, coal is burnt directly to provide the energy for electricity generation and CO2 is released as a by-product. Pre-combustion capture removes CO2 before combustion. In pre-combustion capture, coal is first reacted with steam and oxygen in a process known as gasification. This produces a combustible gas consisting mainly of carbon monoxide (CO) and hydrogen (H2). This gas is then further reacted with steam to produce carbon dioxide (CO2) and more H2. The CO2 is extracted using a process similar to post-combustion capture and is ready for transport and storage. The H2 is burnt in gas turbines to produce electricity. Combustion of H2 produces only water vapour. The technology can remove up to 90 per cent of CO2 emissions generated from the use of coal. Pre-combustion capture was examined as part of the ZeroGen and Wandoan Power projects funded by COAL21. Both projects found that the capital costs associated with pre-combustion capture are significantly greater than for post-combustion capture and oxyfuel combustion. While these capital costs cannot be justified if electricity is the only product, the coal gasification process can also produce multiple, high-value products such as liquid fuels, chemicals and fertilisers as well as electricity. If a market requirement emerged for these multiple, high-value products, pre-combustion capture would be a very good option. How is carbon capture being used in Australia? Carbon capture is used commercially in Australia on a small scale for food processing applications. There are 18 operations globally using carbon capture and storage commercially. 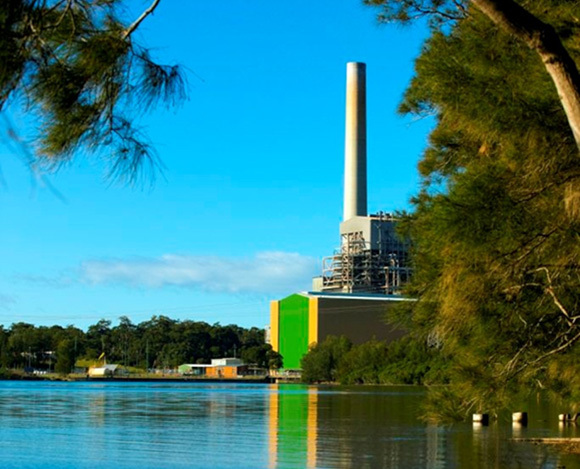 Projects funded by COAL21 are adapting these known technologies for application to coal-fired power stations operating under Australian conditions. 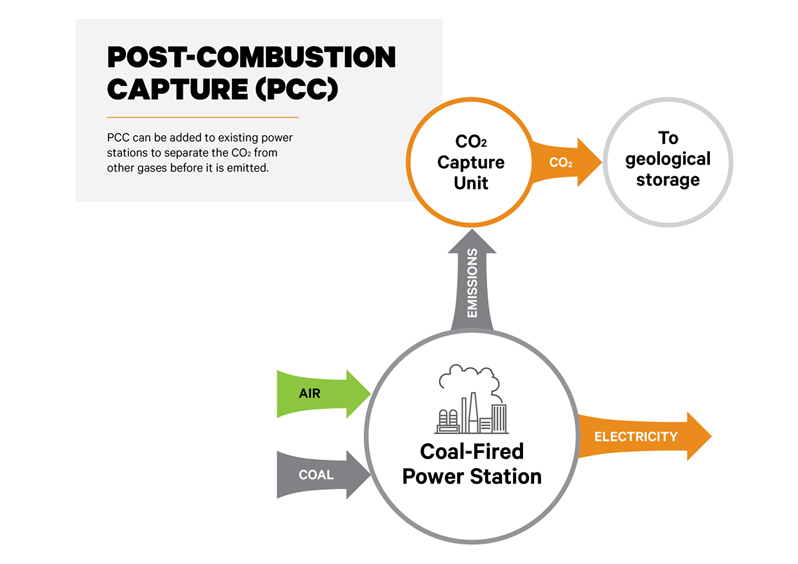 The three major methods used to capture CO2 are pre-combustion, post-combustion and oxyfuel carbon capture. 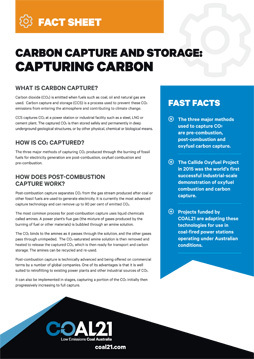 The Callide Oxyfuel Project in 2015 was the world’s first successful industrial-scale demonstration of oxyfuel combustion and carbon capture. Projects funded by COAL21 are adapting these technologies for use in coal-fired power stations operating under Australian conditions.